Assists in the installation of various cables that include but are not limited to: twisted pair cable, coax, power limited tray cable, stranded cable, solid conductor low voltage cable, CAT-6, CAT-5, single mode fiber optical cable & multi mode fiber optical cable. Cable installation includes: placement, termination, testing, labeling & documentation. Assist in the installation of cable pathway systems (cable trays, cable racks, J-hooks or D-rings). 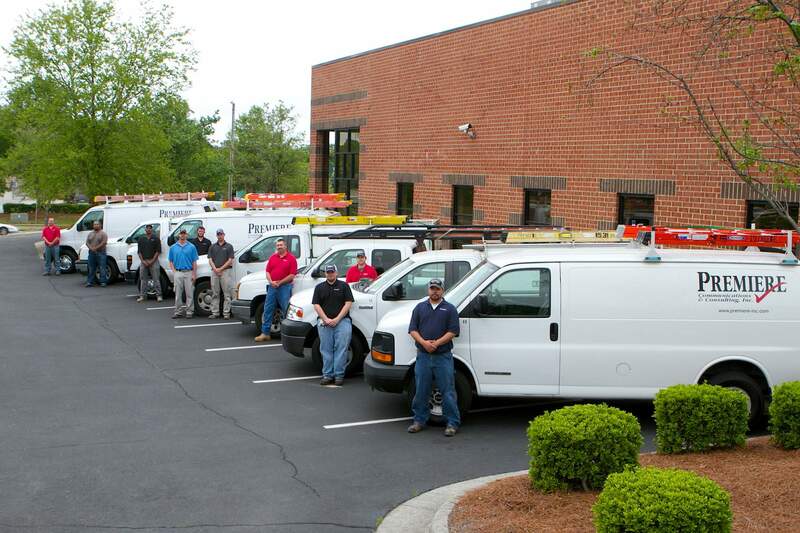 Assist in the installation, termination and testing of horizontal, backbone & other cables. Assist in the dressing & routing of cable into telecom closets, modular furniture & other work area outlets. Assist in the build out telecom & equipment rooms. Assist in the Fire-stopping of various types of cable penetrations. Understands, adheres to, & promotes Environmental, Health & Safety policies. Telecom Systems, TCP/IP Networks, CCTV Security, Access control & Wireless Solutions. Must have ability to install, terminate & test low voltage cables & fiber optical cables (to include twisted pair cable, coax, power limited tray cable, stranded & solid conductor low voltage cable, single mode & multi mode fiber optical cables). Valid driver’s license with clean driving record, clear criminal background, and able to pass a drug test. Ability to follow written & verbal instructions. Use of small hand tools. Heavy physical effort (usually lifting/moving up to 100 pounds). Climbing of stairs, ladders, and/or scaffolds. Carrying of loads up & down stairs. NOTE: The requirements listed above must be met by an employee to successfully perform each duty and each function of this job. Reasonable accommodations may be made to enable individuals with disabilities to perform these essential functions. ** Indicates new tool requirements. Current employees will need to purchase by 10/15/2013. If requested, Premiere will support current employees by purchasing these at a reduced price through our distributors then payroll deducting equally over up to 4 pay periods.